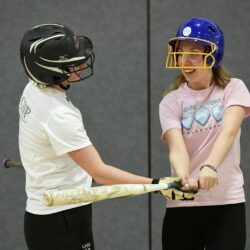 Scarborough, Noble and Sacopee Valley are among Maine teams honing their skills in warmer climates. 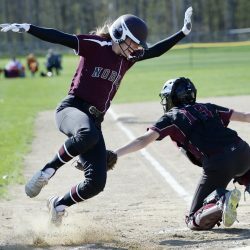 Thornton Academy tops our list of the most intriguing teams in southern Maine. 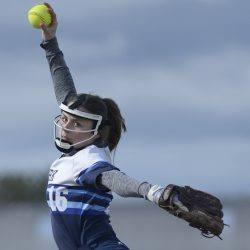 These players are among the best in southern Maine entering the 2019 season. 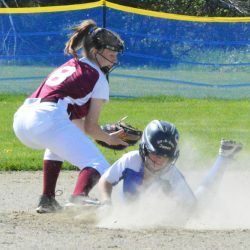 After combining with Maine Girls' Academy the last two years, Falmouth is going solo this spring and has been bolstered by the addition of 10 freshmen. 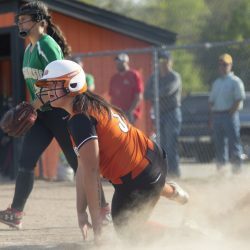 Wells gets 19 hits and defeats the defending Class B South champion Rangers. 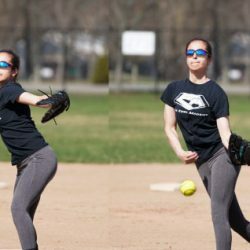 As a sophomore, Orso was 3-0 with no runs allowed before breaking her non-throwing arm and missing the rest of the season. 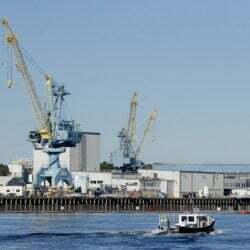 Portland has high hopes even if the Bulldogs do have to start the year in a basement. This year's squad includes three sophomores and a junior. 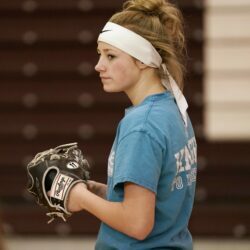 The pitcher/shortstop hit nearly .700 and is heading to the University of Maine. 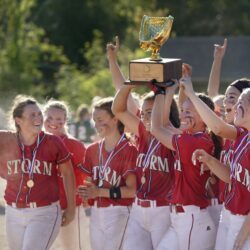 The senior pitcher/outfielder led the Red Storm to back-to-back Class A state championships. A clutch defensive play helps the Witches finish an undefeated season. 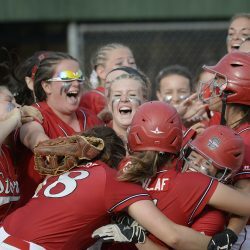 The Red Storm finish an undefeated season with a mercy-rule win against Oxford Hills, 12-0. 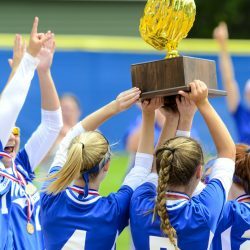 The Bulldogs beat Narraguagus, 7-3, for their third state championship in five years. 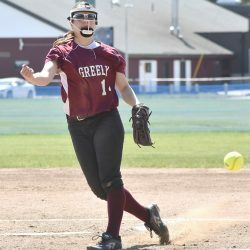 Scarborough goes for back-to-back titles in Class A, while Greely faces undefeated Brewer in Class B.
Kelsey Currier allows only one hit and strikes out nine in a 1-0 win over Morse. The undefeated Witches score six unearned runs for a 6-2 win. The Bulldogs score eight in the bottom of the sixth to beat the Hawks, 15-7. 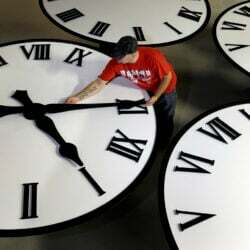 The award to the state's best senior will be presented on June 28. 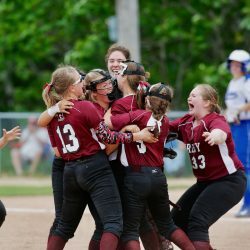 The second-seeded Vikings avenge their loss in last year's Class A North final, earning a 7-3 victory. 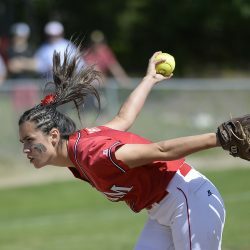 Chloe Griffin's single drives in the winning run and sends the Red Storm back to the state championship game. 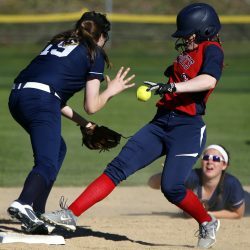 A fly ball that drops scores the only run as the Rangers down Gray-New Gloucester to reach the Class B South final. 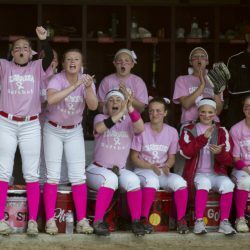 The unbeaten Red Storm use a nine-run fifth inning to pull away for a 10-0 win in a Class A South semifinal. 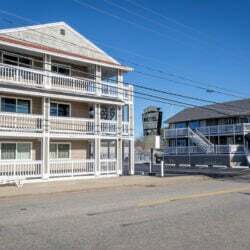 The Shipbuilders overcome a 2-0 deficit to earn a 3-2 victory and a trip to the regional final. 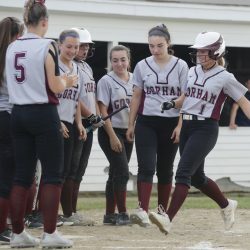 The Golden Trojans roll to a 21-1 win over Kennebunk in their Class A South playoff opener. 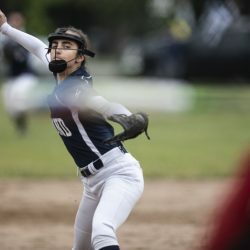 Errors allow the Mustangs to score just enough runs to beat the Rams in a Class A South semifinal. The Bulldogs avenge a regular-season loss by shutting out the Red Riots in a Class A South prelim. 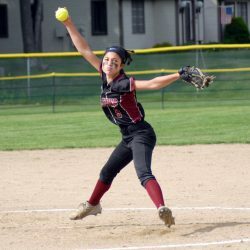 The Rams standout pitcher/infielder will play next at the University of Maine. 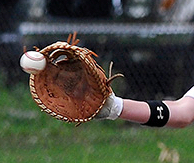 The pitching of Anya Chase and hitting of Samantha Bogue help the Warriors defeat the Raiders, 10-3. The surging Mustangs get two runs in the sixth inning to earn a 2-1 win. The Rangers score 15 runs in the first two innings to defeat the Capers for their third straight win. 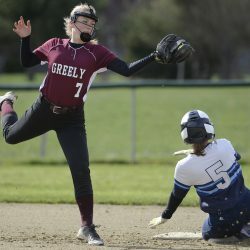 Grace McGouldrick strikes out 15, allows only three hits and belts two home runs to power her team to its seventh straight victory. 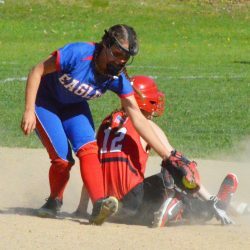 The Hawks, who snapped Richmond's 74-game home winning streak earlier this week, are among the best in Class C South. 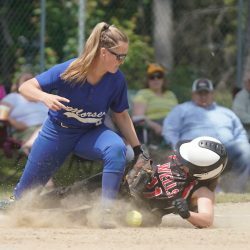 The Blue Devils capitalize as Eagle errors pile up. 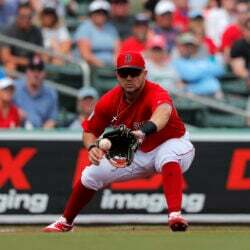 The Patriots score five runs in the seventh inning for the victory. The Red Storm remain undefeated behind a strong defensive effort. 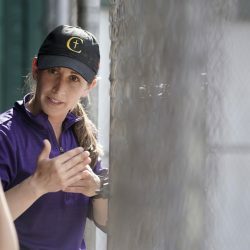 Coach Theresa Hendrix and the Cheverus/North Yarmouth Academy softball team snapped a 46-game losing streak earlier this season and are now competing for a playoff berth. 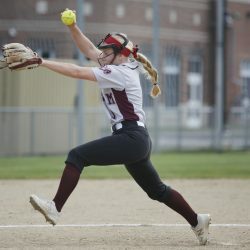 After adjusting to the 43-foot distance from the plate, pitchers are again setting the tone in high school softball. The Raiders improve their record to 8-2 by defeating York, 17-5. The Eagles earn their second win of the season, 13-12. 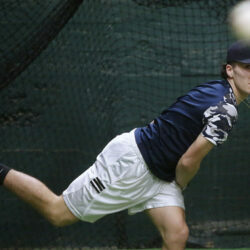 The Wildcats top pitcher suffered a broken left arm last week and will miss the rest of the season. 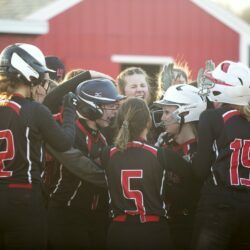 The Knights come back behind the pitching of Raegan Kelly and a 3-run home run by Abby Lewis. 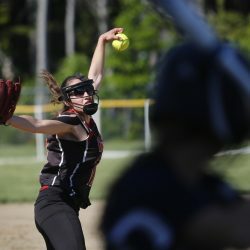 The Raiders take advantage of mistakes to defeat Gray-New Gloucester. 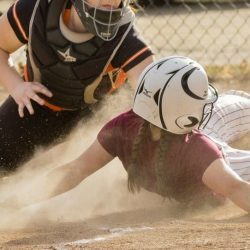 Bulldogs get early jump and hold on for MVC victory. The Red Storm stretch their regular-season winning streak to 79 games with a 6-0 victory. 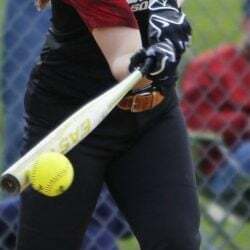 Sadie Waterman gets three hits for Raiders. Chloe Jones strikes out 12 in a four-hit shutout as the Mariners prevail, 7-0. 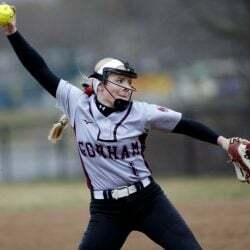 Kelsey Currier strikes out 14 for the Rangers in a 3-2 victory. Ralph Aceto reaches a milestone and the Red Riots remain undefeated with a 27-3 victory over Deering. 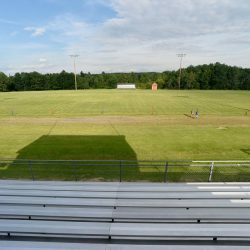 Messalonskee teams were among those not traveling to Skowhegan for games Friday as authorities continue searching for suspected police-killer John Williams. 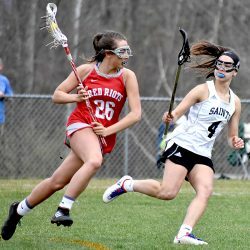 The top 10 lacrosse, baseball and softball teams in Maine, as voted on by reporters from the Press Herald, Kennebec Journal/Morning Sentinel, Sun Journal, Forecaster, Times Record and Journal Tribune, with first-place votes in parentheses, followed by total points. 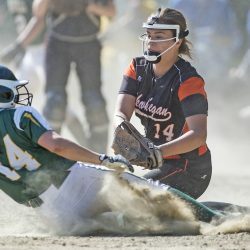 Get more results, photos, stories and state-wide high school sports action in our High School Sports section.